The Memorials on Tenth St.
Today, Ford’s Theatre and the Petersen House across the street constitute the “Ford’s Theatre National Historic Site”. Operated by the National Park Service in partnership with the Ford’s Theatre Society, both buildings exist for the purpose of educating the public about Lincoln’s last hours. Standing as they are today, it is sometimes difficult to imagine that, historically, they have not always been dedicated to serving Lincoln’s memory. In fact, it was not until several years after Lincoln’s death that an effort was made to commemorate these buildings in anyway. The modern museums of Ford’s Theatre and the Petersen House started off quite humbly as mere memorial plaques. This marble tablet remained the only marker on the site for many years. After the house was sold by Schade to the federal government in 1896, Osborn Oldroyd became its curator and started displaying his Lincoln collection inside. As time went by, the small marble tablet began competing with Oldroyd’s large signs hawking admission to the house to see his collection. Almost 30 years passed and the small marble tablet remained fixed high on the exterior. However, by 1909 the marble tablet was no longer on display. Photographs during this time only show the three holes and the discoloration of the bricks from where the tablet had hung for so many years. Whether Rousseau’s tablet fell or was purposefully removed is unknown. One text states that the tablet was removed because of complaints from visitors who stated it was placed too high up on the wall to read easily. If this is correct, perhaps Oldroyd felt his large museum signs provided the necessary information. Regardless, for a time in the early 1900’s, the only memorials on the Petersen House were the advertising for the Oldroyd collection of Lincolniana. Meanwhile, across the street, the edifice that witnessed the horrible crime of April 14th, 1865, remained bare of any memorials. No private citizen had adorned the exterior wall of “Old Ford’s Theatre” like Charles Rousseau had done for the Petersen House. Instead, the building had been transformed into an office building, suffered a tragic collapse of the interior in 1893, and talks of demolishing it reappeared every few years or so in the press. Through it all, however, the scene of the crime remained. It was not until 58 years after the death of Abraham Lincoln that a group of citizens decided it was time to commemorate the site of Lincoln’s assassination. The group, established by the Commissioners of the District of Columbia, was called the Citizens Committee of Historic Sites. With the help of the commissioners, the committee appealed for funds from Congress for the, “erection of suitable tablets to mark historical places in the District of Columbia”. For several years the committee was appropriated $500 and placed bronze plaques at various sites in D.C. On February 28, 1923, their appropriations were renewed and the committee started the design of two new plaques. One plaque was going to take the place of Rousseau’s marble tablet on the Petersen House while the other was to be placed on the long neglected Ford’s Theatre. The exercises began at 3 o’clock in the afternoon. The invocation was by the Rt. Rev. Mongr. 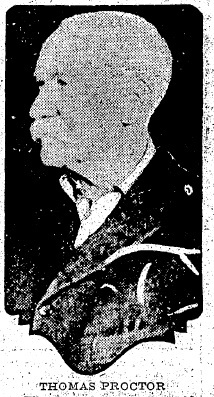 Cornelius F. Thomas. A History of the Ford Theatre Site was presented by Allen C. Clark. Eloquent addresses were made by the Hon. Henry R. Rathbone and by Frederick L. Fishback, Esq., of the Washington Bar. Mr. Rathbone vividly described and minutely, the scene of assassination. Mr. Fishback touchingly told of the last hours and of the funeral journey to Springfield. The tablet on the Ford Theatre site was revealed by Miss Maud Burr Morris; and Mrs. Osborne H. Oldroyd drew the cord which held the drapery to the tablet on the house where Lincoln died. It was the American flag which draped the tablets. The band from the Military School under the direction of Prof. W. J. Stannard interspersed selections. Frederick D. Owen was in charge of arrangements. Allen C. Clark presided. As mentioned in the above quote, one of the speakers at the ceremony for the plaques was Representative Henry Riggs Rathbone. Rep. Rathbone’s father was Henry Reed Rathbone, the army Major who was present in the box when Lincoln was assassinated. Though the exact details of what he stated do not appear to have been recorded, the ceremony was attended by over 200 people. The plaque that the Committee of Historic Sites placed on the Petersen House still stands on the house today. It is located at a much more readable level than its predecessor, now hanging between the basement and first floor. The plaque on Ford’s Theatre hung on the exterior of the building for many years, marking the location of the great crime of ’65. 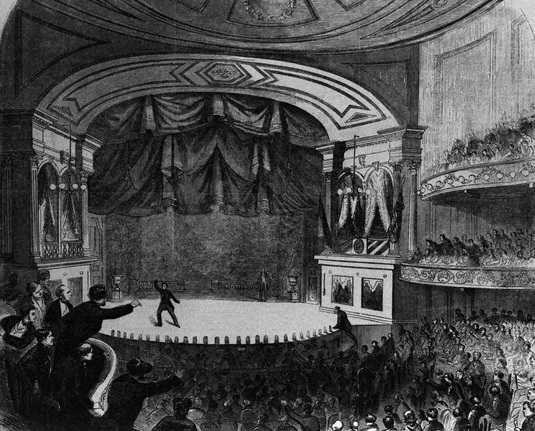 In the early 1960’s public support swelled to restore Ford’s Theatre to its former glory as a working theatre and a Lincoln museum. During the periods of restoration and construction the plaque was taken down for obvious reasons. When the newly restored Ford’s Theatre was unveiled in 1968, the plaque hung by the Committee of Historic Sites in 1924 was not restored to its place. While the exact location of the Ford’s Theatre plaque is not known to this author at this time, it is likely that it entered the collection of the National Park Service and is being safely stored away. The historic nature of a location is rarely appreciated in its time. In most instances, plaques are markers to note where something historic once was but is no longer. For many years it was a strong possibility that Ford’s Theatre or the Petersen House could be sold and torn down. If events had played out differently, the magnificence that is Ford’s Theatre or the emotional impact that is the Petersen House would have been reduced to raised lettering on a piece of bronze. We are fortunate that the generations that came before us had the forethought to preserve and protect these sites so that they may be enjoyed today. Still, we also must remember that, like Rome, the structures we respect were not built in a day. The glorious museums on Tenth St. were founded on the actions of private citizens like ourselves and some memorial words on a tablet. After being fatally shot at Ford’s Theatre, the unconscious body of our 16th President was carefully carried across the street to the home of William Petersen. He was brought into the bedroom of boarder William Clark, who was out of town for the night, and laid diagonally across the bed. It would be in this room that Abraham Lincoln would pass away at 7:22 am the next morning. During the almost nine hours that Lincoln spent in the Petersen boardinghouse, dozens of Washington’s elite made an appearance at his death chamber to pay their last respects. Those who have visited the restored Petersen House across from Ford’s know that the room the President died in is small. It measures 9′ 11″ wide by 17′ 11″ long. Despite its small size, the room in which Lincoln died has gained the moniker of the “Rubber Room”. This is due to the way in which the small room stretched to unrecognizable proportions in the various engravings, lithographs, and prints that were made following Lincoln’s death. There’s a wonderful chapter in the edited book, The Lincoln Assassination: Crime & Punishment, Myth & Memory by Lincoln authors Harold Holzer and Frank Williams that explores the “Rubber Room” phenomenon in detail. In summation, the various artists of deathbed illustrations were forced to make the room appear larger and larger in order to cram more and more dignitaries into one, defining scene. Here are just a few depictions of how the small bedroom photographed above became a massive hall for the mourners. Just for fun, let’s say that all of the individuals pictured in Chappel’s painting were present in Lincoln’s death room at the same time. Using modern measurements, William Clark’s room has an area of 177 square feet. We’ll subtract 20 square feet for the bed on which Lincoln died since that is the only piece of furniture that we know had to remain in the room. That leaves us with 157 square feet. We’ll divide that by the 46 visitors in Chappel’s painting (we’re not including Lincoln since he was laying on the bed). That gives everyone in the room a cozy 3.4 square feet all to themselves. To give you some perspective, in a well ventilated, outdoor setting like a crowded rock concert, the accepted bare minimum amount of space per person is 7 square feet. For many interior settings the common rule of thumb is at least 9 square feet per person. If everyone in this painting tried to get into William Clark’s room at the same time, they would be literally crammed together like sardines in a can. What’s more, this imaginary calculation does not include the other furniture in the room, the large amount of space that the women’s hoop skirts would require, and the measurements by Osborn Oldroyd which, if correct, would lower the room’s original square footage from 177 sq. ft. to 161.5 sq. ft. Despite the laughable morphing power of the small bedroom, Chappel’s painting was considered one of the best depictions of the death chamber of Abraham Lincoln. The details for each person were exquisitely done and so life like. Of course, there was a very good reason why Chappel was able to paint such realistic versions of the many people who visited Lincoln that night. The designer of the piece, John Bachelder, had convinced many of the people in the painting to sit for photographs in the poses that Chappel wanted to paint. Notable figures like Andrew Johnson, Edwin Stanton and even Robert Todd Lincoln posed in Mathew Brady’s studio in ways that the painting would later recreate. In addition to the cabinet members and politicians who posed for Bachelder and Chappel, there were also two individuals whose presence at the Petersen House was never questioned but, for some reason, they did not appear in other depictions of the President’s death. These two neglected people were Mr. and Mrs. Lincoln’s guests for the evening, Major Henry Rathbone and Clara Harris. Henry, on the other hand, is removed from the chair he posed in and is literally sidelined to the far left of the painting. He is almost obscured by the dark edge and frame, perhaps an ironic foreshadowing of the darkness that would later compel him to murder Clara and try to take his own life. Alonzo Chappel’s work, The Last Hours of Abraham Lincoln, is a work of contradiction. The painting simultaneously contains the most detailed and accurate depictions of the individuals who visited the dying President while also demonstrating extreme hyperbole and imprecision with the seemingly ever expanding walls of William Clark’s bedroom. It’s a beautiful yet unbelievable painting and it exemplifies the “Rubber Room” phenomenon in a truly unsurpassed way. One of the great things about being home for the holidays is the chance to engage in some nostalgia. Today, I was looking through some of the old toys that my siblings and I played with as kids. My eyes came across a large container full of old View-Master cards. I found my favorite reels containing images of Mickey Mouse, Muppets, Snoopy, and other childhood characters. After playfully clicking through and looking at the familiar 3D images, I discovered some non-familiar View-Master reels. We probably inherited from my grandparents collection and it’s doubtful that I ever took any interest in these, non character, related reels as a child. Among the different views of national parks and seascapes was a set of three reels entitled the, “Lincoln Heritage Trail”. Though I have not been able to come up with a date for the images or the reels, there were two pictures from the reels that connect to Lincoln’s assassination. I put the other 19 images from the “Lincoln Heritage Trail” View-Master reels up on Roger Norton’s Abraham Lincoln Discussion Symposium. Check them out here. In the field hospital, both of Tanner’s legs were amputated four inches below the knee. Tanner was exceeding lucky to survive the recovery process for such a wound. When he returned to civilian life, he was equipped with artificial legs and learned to walk again with the use of a cane to help steady himself. He entered business school and studied shorthand. On April 14th, 1865, Tanner was residing in Washington, D.C. working for the Ordinance Bureau of the War department. Your very welcome letter was duly received by me and now I will steal a few minutes from my duties in the office to answer it. Of course, you must know as much as I do about the terrible events which have happened in this city during the past few days. I have nothing else to write about so I will give you a few ideas about that, perhaps, which you have not yet got from the papers. Last Friday night a friend invited me to attend the theatre with him, which I did. I would have preferred the play at Ford’s Theatre, where the President was shot, but my friend chose the play at Grover’s, which was ‘Aladdin, or the Wonderful Lamp.’ While sitting there witnessing the play about ten o’clock or rather a little after, the entrance door was thrown open and a man exclaimed, “President Lincoln is assassinated in his private box at Ford’s!” Instantly all was excitement and a terrible rush commenced and someone cried out, “Sit down, it is a ruse of the pickpockets.” The audience generally agreed to this, for the most of them sat down, and the play went on; soon, however, a gentleman came out from behind the scenes and informed us that the sad news was too true. We instantly dispersed. On going out in the street we were horrified to learn that Mr. Seward had been attacked and severely injured while in bed at his house. Myself and friend went up to Willard’s, which is a short distance above Grover’s, to learn what we could, but could learn nothing there. The people were terribly excited. Ford’s Theatre is on Tenth St. between E and F. Grover’s is on the Avenue near Fourteenth St. and just below Willard’s; it is about four blocks up from Ford’s. My boarding house is right opposite Ford’s Theatre. We then got on the cars and went down to Tenth St. and up Tenth St. to Ford’s and to my boarding house. There was an immense throng there, very quiet yet very much excited; the street was crowded and I only got across on account of my boarding there. The President had been carried into the adjoining house to where I board; I went up to my room on the second floor and out on the balcony which nearly overhangs the door of Mr. Peterson’s house. 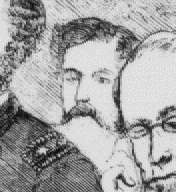 Members of the cabinet, the chief justice, Generals Halleck, Meiggs, Augur and others were going in and out, all looking anxious and sorrow-stricken. By leaning over the railing I could learn from time to time of His Excellency’s condition, and soon learned that there was no hope of him. Soon they commenced taking testimony in the room adjoining where he lay, before Chief Justice Carter, and General Halleck called for a reporter: no one was on hand, but one of the head clerks in our office, who boarded there, knew I could write shorthand and he told the General so, and he bade him call me, so he came to the door and asked me to come down and report the testimony. I went down and the General passed me in, as the house was strictly guarded, of course. I went into a room between the rear room and the front room. Mrs. Lincoln was in the front room weeping as though her heart would break. In the back room lay His Excellency breathing hard, and with every breath a groan. In the room where I was, were Generals Halleck, Meiggs, Augur and others, all of the cabinet excepting Mr. Seward, Chief Justice Chase and Chief Justice Carter of the District of Columbia, Andrew Johnson and many other distinguished men. A solemn silence pervaded the whole throng; it was a terrible moment. Never in my life was I surrounded by half so impressive circumstances. Opposite me at the table where I sat writing- sat Secretary Stanton writing dispatches to General Dix and others, and giving orders for the guarding of Ford’s and the surrounding country. At the left of me was Judge Carter propounding the questions to the witnesses whose answers I was jotting down in Standard Phonography. I was so excited when I commenced that I am afraid that it did not much resemble Standard Phonography or any other kind, but I could read it readily afterward, so what was the difference? In fifteen minutes I had testimony enough down to hang Wilkes Booth, the assassin, higher than ever Haman hung. I was writing shorthand for about an hour and a half, when I commenced transcribing it. I thought I had been writing about two hours when I looked at the clock and it marked half past four A.M. I commenced writing about 12 M. I could not believe that it was so late, but my watch corroborated it. The surrounding circumstances had so engrossed my attention that I had not noticed the flight of time. In the front room Mrs. Lincoln was uttering the most heartbroken exclamations all the night long. As she passed through the hall back to the parlor after she had taken leave of the President for the last time, as she went by my door I heard her moan, “O, my God, and have I given my husband to die,” and I tell you I never heard so much agony in so few words. The President was still alive, but sinking fast. He had been utterly unconscious from the time the shot struck him and remained so until he breathed his last. At 6:45 Saturday morning I finished my notes and passed into the back room where the President lay; it was very evident that he could not last long. There was no crowd in the room, which was very small, but I approached quite near the bed on which so much greatness lay, fast losing its hold on this world. The head of the bed was toward the door; at the head stood Cap. 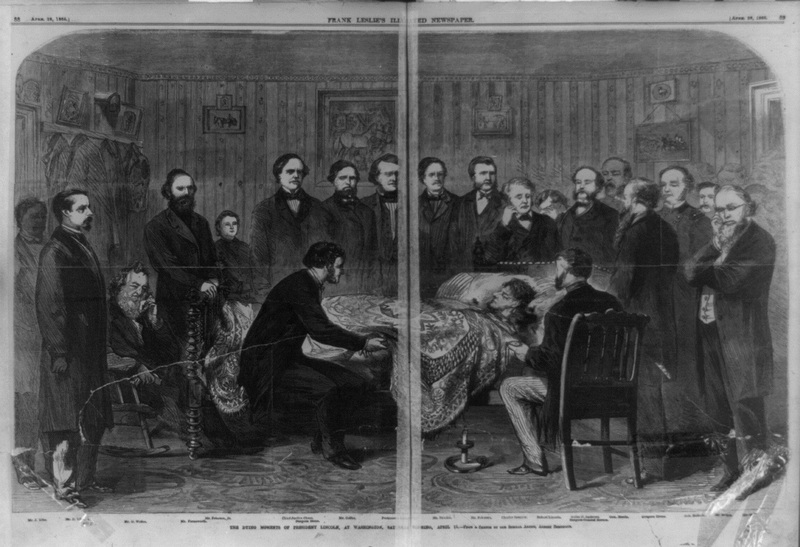 Robert Lincoln weeping on the shoulder of Senator Sumner. General Halleck stood just behind Robert Lincoln and I stood just to the left of General Halleck and between him and General Meiggs. Secretary Stanton was there trying every way to be calm and yet he was very much moved. The utmost silence prevailed, broken only by the sound of strong men’s sobs. It was a solemn time, I assure you. The President breathed heavily until a few minutes before he breathed his last, then his breath came easily and he passed off very quietly. As soon as he was dead Rev. Dr. Gurley, who has been the President’s pastor since his sojourn in this city, offered up a very impressive prayer. I grasped for my pencil which was in my pocket, as I wished to secure his words, but I was very much disappointed to find that my pencil had been broken in my’ pocket. I could have taken it very easily as he spoke very favorably for reporting. The friends dispersed, Mrs. Lincoln and family going to the White House, which she had left the night before to attend the theatre with him who never returned to it except in his coffin. Secretary Stanton told me to take charge of the testimony I had taken, so I went up to my room and took a copy of it, as I wished to keep both my notes and the original copy which I had made while there in the house. They will ever be cherished monuments to me of the awful night and the circumstances with which I found myself so unexpectedly surrounded and which will not soon be forgotten. Saturday night I took the copy I had made to the Secretary’s house, but as he was asleep I did not see him, so I left them with my card. I tell you, I would not regret the time and money I have spent on Phonography if it never brought me more than it did that night, for that brought me the privilege of standing by the deathbed of the most remarkable man of modern times and one who will live in the annals of his country as long as she continues to have a history. Frank Leslie’s Illustrated will have a good picture of the building there made celebrated by this sad event on that evening. I saw the sketch made by the artist of the theatre, and it was very correct, indeed. He also sketched the inside of the room where the President died, also the outside of the building, as well as the adjoining buildings on both sides. You will see the house I board in has a balcony along the front of the two rooms on the second floor; I occupy both of those rooms. 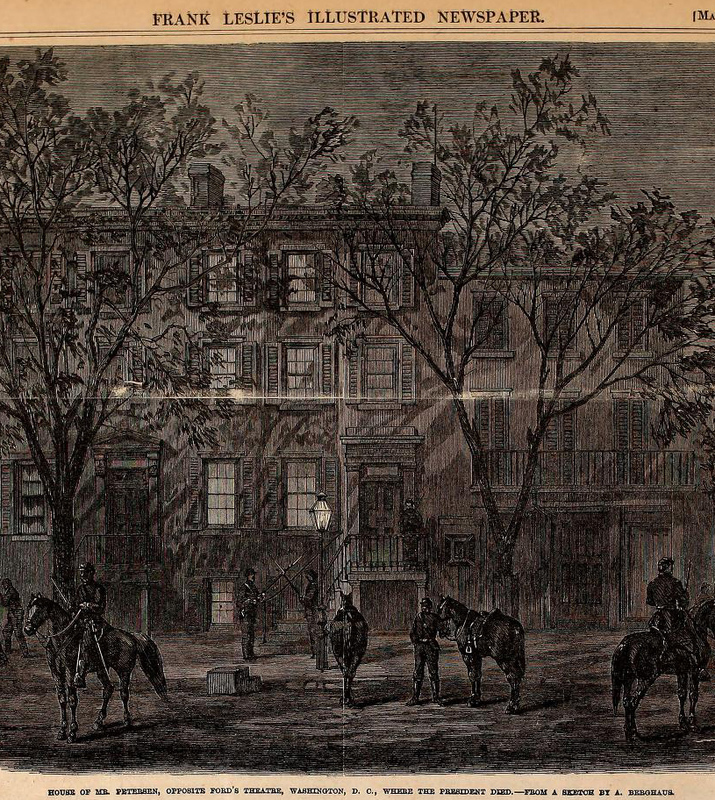 Drawing of the Peterson house from Frank Leslie’s Illustrated Weekly 5/20/1865. Corporal Tanner’s room and balcony are visible on the building next door. You can imagine the feeling here by judging of the feeling in your own place, only it is the more horrifying from the fact that the President lived in our midst and was universally beloved by the People. This morning there was published in the Chronicle the statement of one of the witnesses whom I reported, Mr. James B. Ferguson. You will doubtless see it in your papers as it is most important. I have an idea, which is gaining ground here, and that is that the assassin had assistance in the theatre, and that the President was invited there for the express purpose of assassinating him. The theatre is very strictly guarded now night and day. The Abraham Lincoln Home in Springfield, IL and the Petersen House in Washington, D.C. have shared similar histories. On February 1st, 1850, Eddie Lincoln, the second son of Abraham and Mary Todd, died at the age of 3 at the Lincoln Home in Springfield. On April 15th, 1865 at 7:22 am, President Abraham Lincoln died at the age of 56 at the Petersen House in Washington, D.C. The Lincoln Home was built in 1839 for the Reverend Charles Dresser. The Lincolns bought it from him in 1844. Robert Todd Lincoln inherited the property from his parents and he subsequently gave it to the government in 1887. This gives the Lincoln home two owners, Rev. Dresser and the Lincoln family, before it was purchased by the government. The Petersen House was commissioned by William and Anna Petersen in 1849 and built that same year. When they died in 1871, the house was inherited by their children. They sold the house to Louis Schade in 1878. By 1896, Louis Schade sold the house to the government for $30,000. This gives the Petersen House two owners, the Petersens and Louis Schade, before it was purchased by the government. The Lincoln Home had about 5 renovations while the Lincolns lived there. Most drastically was the alteration of the home from a 1 ½ story structure to a full 2 story home, as it still is today. The room that would later be known as the room where Lincoln died, was not even part of the Petersen House when it was originally built. That addition was put on in 1858. Fire gutted it in 1863 and William Petersen rebuilt it that same year. When Abraham Lincoln was elected President and moved into the White House, he rented out his Springfield home. When Robert Todd gained ownership of the place, he continued the practice of renting the house out until he gave it to the government. The Petersens ran their home as a boarding house for many years. From Congressmen to soldiers, to actors, they rented out rooms to many needy Washingtonians. 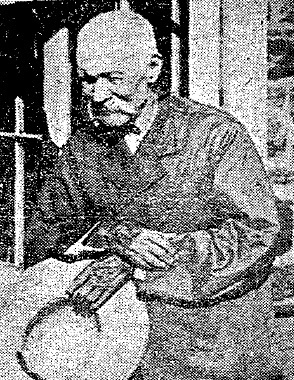 Osborn Oldroyd was a Civil War veteran and a devoted collector of Lincoln memorabilia. In 1883, 41 year-old Oldroyd succeeded in fulfilling the dream of any man who idols another. Robert Todd Lincoln made Oldroyd the fifth renter of the Lincoln Home in Springfield since his father left the city to claim the Presidency. Into this historic house, Oldroyd brought his vast collection of nearly 2,000 Lincoln items. As had been commonplace since the death of Lincoln, many visitors came to call on the Lincoln Home, seeking to visit the home of the great martyr. Oldroyd let them in like all of his predecessors had, but was the first to charge them admission. He turned his collection and rented space in a Lincoln Museum. 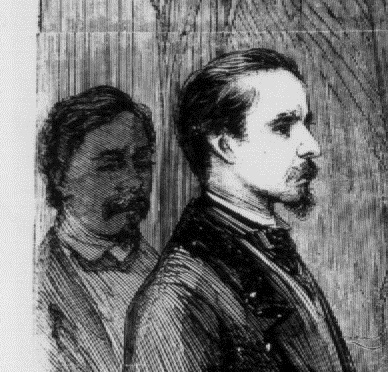 Robert Todd accepted this exploitation as long as Oldroyd paid his rent, however, by 1885, Oldroyd was starting to fall behind his payments. Despite not paying him, Robert Todd did not want to bring a lawsuit against Oldroyd as he feared it, “may easily cause me more personal annoyance than the loss of ten times the money.” Rumors spread that Oldroyd was also cutting off parts of the curtains, wallpaper, and flooring, selling them as souvenirs. 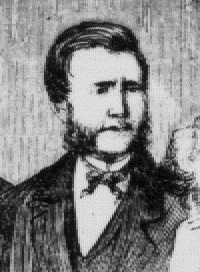 Robert Todd was getting angry with his tenant whom he referred to as a “dead beat” and “rascal”, when an Illinois legislative committee approached him in 1887 to purchase the Lincoln Home. A similar offer had been given to him in 1883, but at that time he had declined. Even though, Robert Todd was fairly certain Oldroyd had been the catalyst for this offer, he decided to donate the property to the state of Illinois. His donation contained two caveats, however. “…Said homestead shall be, forever, kept in good repair and free of access to the public.” This latter requirement was probably meant as a final jab towards his “rascal” of a tenant and his entrepreneurial exploits. Regardless, Osborn Oldroyd was hired by the state of Illinois to be the first custodian of the house and gave him a salary of $1,000 per year. Oldroyd undoubtedly used this salary to increase his collection at every turn. 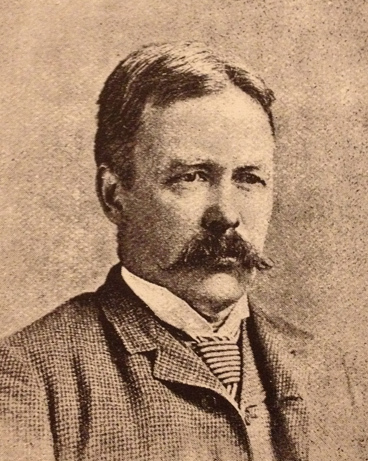 Oldroyd’s tenure at the Lincoln Home came to an end in 1893 when he was fired by recently elected Gov. John Peter Altgeld. Altgeld replaced him with a political friend named Herman Hofferkamp. Out of a cushy job and a free place to live, Oldroyd was in trouble. Meanwhile, in Washington, D.C., the Schade family had moved out of the Petersen House apparently fed up with the number of visitors constantly asking to see the death room of the President. They leased the building to the Memorial Association of the District of Columbia, a group formed by Congress the year before. When and how Oldroyd managed to convinced this group to make him custodian of the Petersen House is unknown. According to a biography about Oldroyd written when he was alive, in 1893 Oldroyd moved his collection to the Petersen House, “at the request” of the association. The earliest account the NPS has managed to find of Oldroyd residing at the Petersen House is June of 1898. This was after the government purchased the house outright from the Schades in 1896. So, whether Oldroyd went straight from the Lincoln Home to the Petersen House, or whether he had five years in between, he ultimately found a new location to show off his collection. While he lived rent free at the Petersen House, Oldroyd did not receive a salary there. Instead, he got back to his roots and was allowed to charge admission to his museum. He made the whole first floor of the house his exhibit floor and he and his family lived upstairs. The first floor of the Petersen House contained considerably less real estate than what he had previously used to showcase his collection at the Lincoln Home. He covered practically every surface of the Peterson House with material to make up for it. Oldroyd also had a lot of changes made to the building while he lived there. Most noticeably, he had the back wall of the room where Lincoln died, removed. This picture was taken from within the front parlor of the Petersen House facing towards the rear parlor. The door to the right leads into the hallway with the room where Lincoln died at one end and the entrance to the Petersen House at the other. This photo was taken from within the rear parlor of the Petersen House in the direction of the front parlor. This photo shows only the front parlor. This photo was taken from the entrance of the room where Lincoln died. The bed Lincoln died in would have been located in the bottom right hand corner of this photo. This photo was taken from the rear of the room where Lincoln died in the direction of hallway and Petersen House entrance. The X marks the location of Lincoln’s deathbed. During his tenure at the Petersen House, Oldroyd continued to collect and correspond with many individuals associated with Lincoln’s life and death. In 1901, after walking the escape route of Lincoln’s assassin on foot with a camera, he published his book, “The Assassination of Abraham Lincoln”. This volume contains many of the earliest photographs we have of different parts of the escape route. By 1926, after about 30 years curating his collection at Petersen House, Oldroyd sought the help of Congressman Henry Rathbone of Illinois, to insure its preservation. 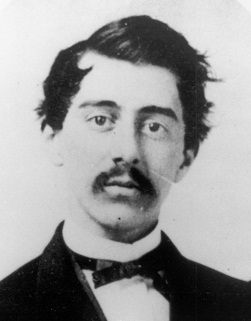 The son of Henry Rathbone and Clara Harris, the ill fated pair who joined Mr. and Mrs. Lincoln at Ford’s Theatre that night, managed to pass a bill in Congress authorizing the purchasing of Oldroyd’s collection. Experts at the Smithsonian noted that the collection “was of little practical value”. Despite this, Oldroyd was paid $50,000. Oldroyd later stated that he had been offered far greater amounts for the collection by private individuals but that he wanted the collection to be in the hands of the government so that it would be preserved and enjoyed by the public for years to come. When offered continued curatorship over the collection Oldroyd replied, “the responsibility would be too much for me to assume at my age of eighty-four years.” Oldroyd was then given the key to the Petersen House and told that he was free to come and go as he pleased and that his accustom chair would always be there for him. Osborn Hamilton Ingham Oldroyd died four years later in 1930. He is buried next to his wife of over 54 years, Lida, at Rock Creek Cemetery in Washington, D.C. Adjusted for inflation, $550 in 1865 is equal to about $8,000 today. Michael Kauffman, author of American Brutus, states in his book that he could find no record that the Petersens were ever awarded compensation for their claim. Part of me feels sorry that the Petersens gave so much for the dying President and got nothing in return, while the other part of me feels that the eternal preservation of their former home and name as a part of a national park may be compensation enough. One practically required aspect of studying the Lincoln assassination is to at one point retrace John Wilkes Booth’s route as he escaped south. Nowadays, this is generally done either by yourself in a car, or with a group in a bus and narrator. The fact is tracing the escape route is really a necessity for all of those interested in the Lincoln assassination. The miraculous invention of the automobile allows us to complete an only slightly abridged version of Booth’s twelve day escape in a mere 12 hours. However, retracing Booth’s footsteps is not a modern occurrence. A mere 10 days after his death at the Garrett’s barn, the first official retracing of the route occurred when Lieut. Luther Baker traveled down Booth’s route looking for suspects and items. From that day on, countless people have retraced the escape route by a variety of means. So much of our knowledge, in fact, is based on the early accounts of individuals who retraced Booth’s escape route by foot. One such individual, from whom we get a lot of our knowledge about the escape route, was Osborn Oldroyd. A noted Lincoln collector who lived in both Lincoln’s home in Springfield, IL and the Petersen House where Lincoln died, Oldroyd retraced Booth’s steps on foot through Maryland and Virginia. Oldroyd brought along a camera, photographing his many stops and, in 1901, published his book containing his travels and a history of the assassination called, The Assassination of Abraham Lincoln: Flight, Pursuit, Capture, and Punishment of the Conspirators. Oldroyd’s book and walk is very useful and is still cited and read today. For those of you who are interested, I’ve figured out a way to “one up” Osborn Oldroyd. All you have to do is walk the distance between two of Osborn Oldroyd’s former homes, the Lincoln home in Springfield to the Petersen house in D.C. According to Google, the walking distance is 756 miles and would only take 249 hours to complete. Dig out those Nikes folks! When the unconscious form of Abraham Lincoln was brought out of Ford’s Theatre onto Tenth St., the men carrying the President were unsure of their destination. The street was chaotic and getting crowded with countless individuals having been drawn to Ford’s doors after hearing the dreadful news being shouted through the streets. Many would later claim to have been one of the men who transported the Great Emancipator’s frame out of Ford’s and onto the street. So many in fact, that he only way all of the accounts could be true is if Abraham Lincoln was “crowd surfed” away from the theatre. The commotion of the citizens and soldiers on Tenth street startled a young boarder across the way named Henry Safford. Having spent the previous night doing his part, “with the rest of the multitude in the celebration of Lee’s surrender,” Safford was preparing for a restful evening in his rented room on the second floor of the Petersen house. He threw open the window and called to the crowd of former Ford’s audience members, inquiring about what had occurred. Their reply of, “The President’s been shot,” startled the 25 year-old man. Safford was soon down at the door of the house, watching the crowd and keeping a close eye on Ford’s entrance for signs of a wounded, or dead, President. When the soldiers carrying Lincoln finally emerged, Safford, noticing their lack of a set destination called out, “Bring him in here!” Lincoln’s body was transferred inside of the Petersen house, and Safford led the troops into a back bedroom on the first floor. Though Safford would have been more than happy to surrender his own bed and room for the President, climbing another set of stairs to the second floor would have been too inconvenient. Safford, and other boarders in the Petersen house, would spend the night assisting the doctors by providing hot water and mustard plasters. “We the undersigned inmates of 453 Tenth street, Washington, D.C., the house in which President Lincoln died and being present at his death, do hereby certify that the sketches of Mr. Albert Berghaus are correct. Julius and Henry Ulke – Brothers, photographers, and natural history buffs. It was said the Ulke’s room in the Petersen house would have been unfit for the President as there were too many beetle specimens and scientific instruments cluttering up the space. William Petersen – German tailor and owner of the house. It was written that Petersen was a great admirer of Andrew Johnson due to the fact that he had been a tailor himself who rose to such a high position in life. 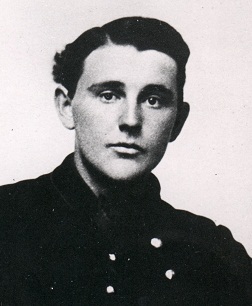 Thomas Proctor – A 17 year-old clerk for the War department. Henry Safford – 25 year-old War department clerk. 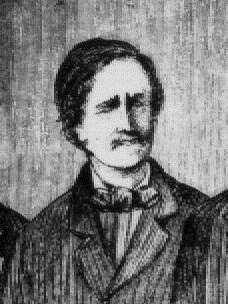 According to one source, when Edwin Stanton requested a man trained in short hand to take down statements, Safford recommended a nearby neighbor Corporal James Tanner. The only member of the Petersen household not illustrated by Berghaus was William Clark, a 23 year-old clerk in the Quartermaster’s department. This will come into play later. Fast-forward fifty-six years. 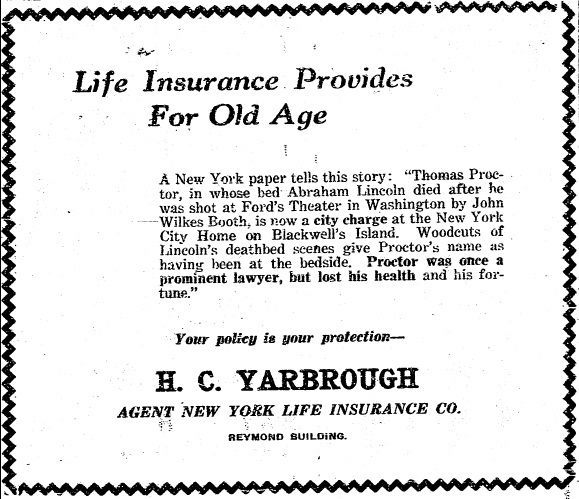 In 1921, the only remaining Petersen house resident was Thomas Proctor. As this article demonstrates, Thomas Proctor’s mental state is not what it once was. Dr. Leale, though older than Thomas Proctor, must have observed the fragile mind of the man he conversed with. This visit was obviously short, and consisted of Dr. Leale leaving with little in the way of reminiscences. The correct answer, as many reading this already know, is that the room and bed in which Lincoln died belonged to William Clark. The debate that surrounded Thomas Proctor was probably not his own doing. As we can see from his interview with Leale, Proctor needed to be led in even basic conversation. The memory of his friends were mistaken that Proctor owned the bed in which the President died and therefore led the practically senile man to that conclusion. 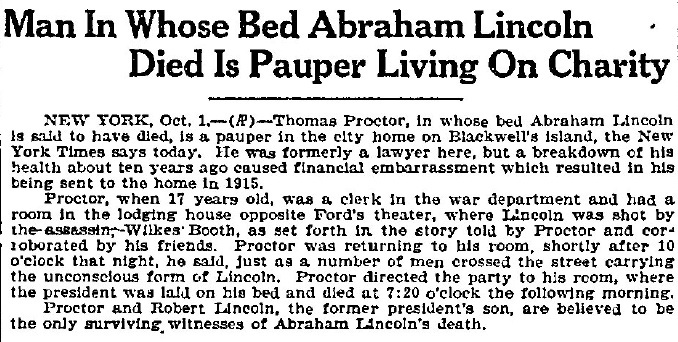 In support of this hypothesis is an 1899 article written about Proctor in which he correctly admits that the room and bed in which Lincoln died belonged to Clark. In fact, through his own 1899 article and an 1895 article written by Henry Safford, we learn that Thomas Proctor and Henry Safford were roommates in the Petersen’s second floor apartment. Proctor was there and helped attend to the President, but the honor of the death room belonged to William Clark. 1. William Clark was the only honest man who boarded in the Petersen house with Henry Safford and Thomas Proctor spending years after his death trying to discredit him. In addition, he must also have been the most humble man in the Petersen house since he was the only one to deny having his face saved for posterity in Berghaus’ sketch. 2. William Clark embellished his involvement in Lincoln’s death to include more than, “he died in my room and bed”. He listened to the stories from those who were present and placed himself in the narrative. When Albert Berghaus arrived at the house the day after Lincoln’s death, Clark told him the truth, that he was not there, and therefore was not included in the sketch. I leave it to the reader to decide what view they feel is most likely. 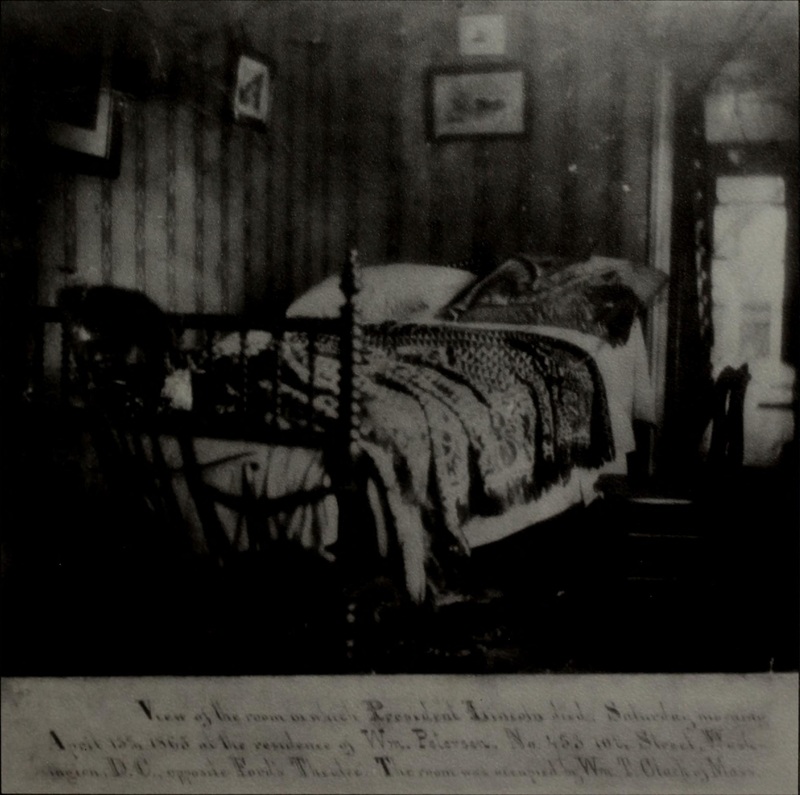 Though Thomas Proctor did not rent the room or bed in which Lincoln died, he was a participant in the events that occurred in the Petersen house that night. Along with the Ulke brothers and Henry Safford, Proctor helped the doctors in providing hot water and fulfilling other requests. I have not yet been able to locate when Thomas Proctor died or where he is buried, but it can be assumed that he spent his last years enjoying charity and assistance similar to that he gave the President from those at the St. Andrew’s Brotherhood home.